W. J. McCormack is Professor of English at Goldsmith's University. 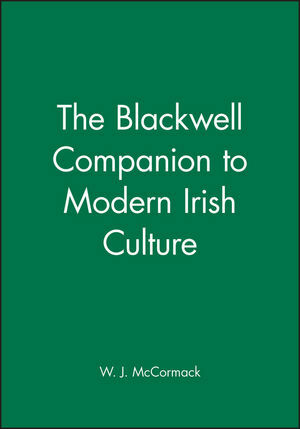 His numerous pubications in Irish Literature, history and culture include the classic Ascendancy and Tradition (1985), reprinted in a revised and enlarged edition as From Burke to Beckett: Ascendancy, Tradition and Betrayal in Literary History (1994). Select Bibliography of Recent Publications. Offers a major and original reference tool. Provides new perspective by innovatory approaches.